John Brown Lives! 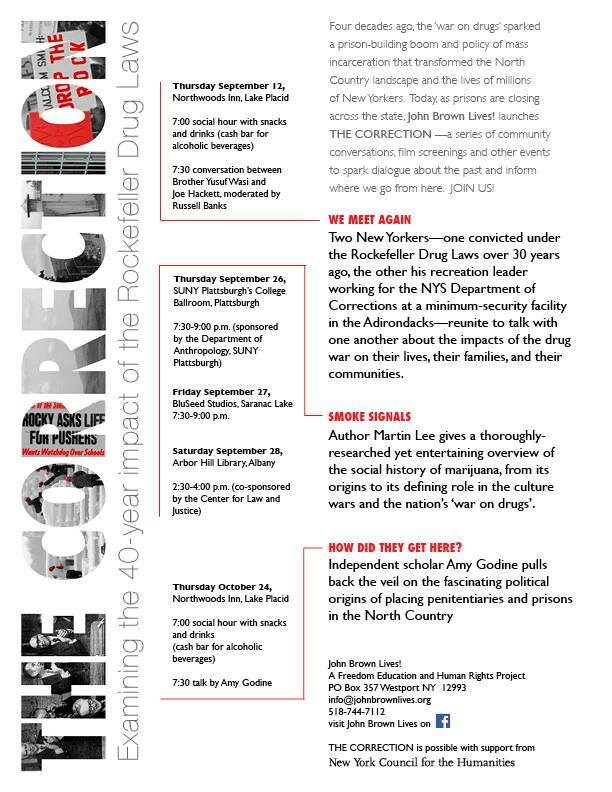 is sponsoring several events this fall that open up conversation about the 40-year impact of the Rockefeller Drug Laws. The organization is based in New York’s North Country (where the Department of Correctional Services is a major employer and where several NYS prisons have recently been closed) and seeks to engage all New Yorkers in this important discussion about the past, and how to move forward. Check out the upcoming events! Most of them are upstate this fall … take a trip to the North Country! Spread the word to any of your upstate friends!